This is the time of year I look for any excuse to make a batch of cornbread. For me, it is indeed comfort food. But I have to say that I'm never happy with the recipe on the box and it doesn't have much to offer other than being quick and perhaps filling. 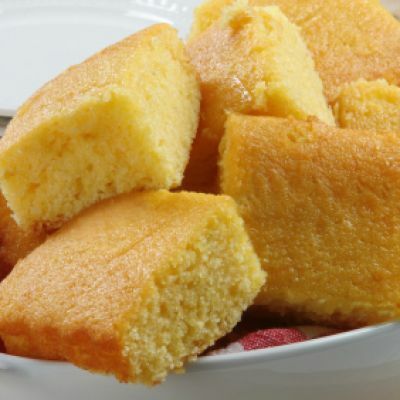 For me cornbread is never sweet enough or moist enough so I'm always looking for fixes in those areas. If you share similar frustrations here's what I've come up with. To fix the sweet you can simply double the sugar amount a recipe calls for or supplement it with honey or molasses; two very "homey" and southern sweeteners. To make something more moist generally means you need to be adding more fat. So you can easily double the amount of oil the recipe calls for or you can get creative with what I call moisturizing ingredients. Cornbread is the perfect food to fiddle around with. The batter is so forgiving and accepting of added ingredients it's hard to go wrong. It's a great place to practice your "chefing" skills.